1 . Note, that prior consideration to inserting and removing cards should be made if you are using this product with your Pi in a case. Also, this product may not be compatible with all cases ( But Most ) for the Pi. 2. Please note also that this item is the adaptor card only. The MicroSD card and Pi are NOT INCLUDED in this listing. 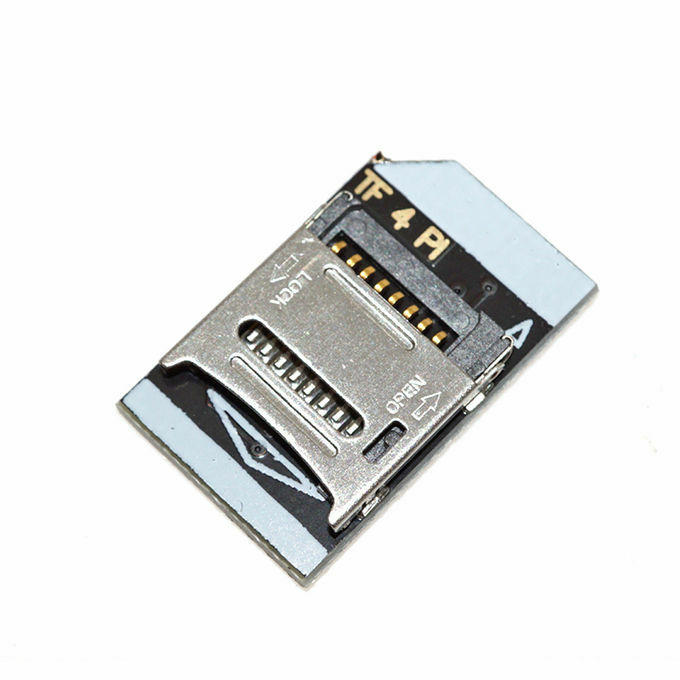 A micro SD card is required for use with this adaptor card. This simple useful low-profile adapter will allow your Pi to accept a TF Transflash / micro SD cards instead of Standard sized SD card. Because of it’s compact design this adapter has virtually no overhung over the edge of Pi and so is less prone to accidental damage. 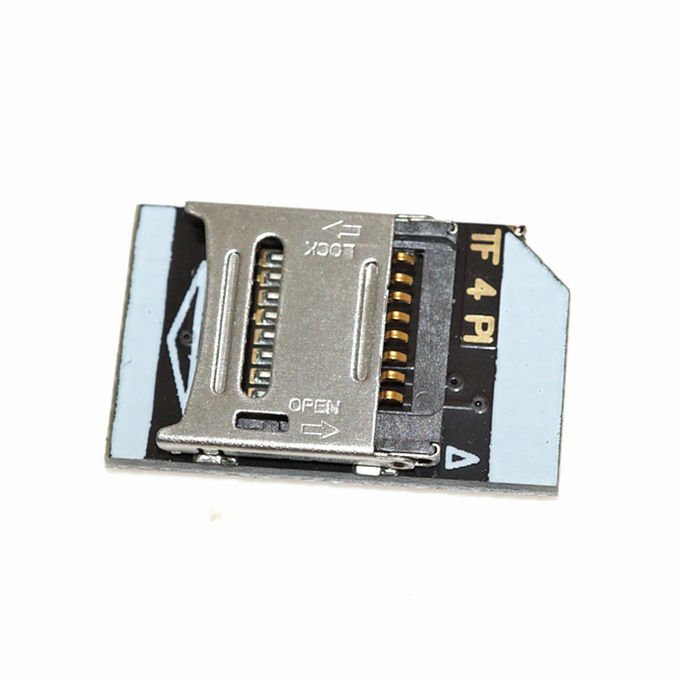 When using standard sized SD cards, there is a risk of damaging the memory card connector if you accidentally drop your Pi or apply significant force to the SD card. This is due to a large part of the standard SD card overhanging the footprint of the Pi printed circuit board (PCB). This TF Adapter sits flush with the edge of the Pi. 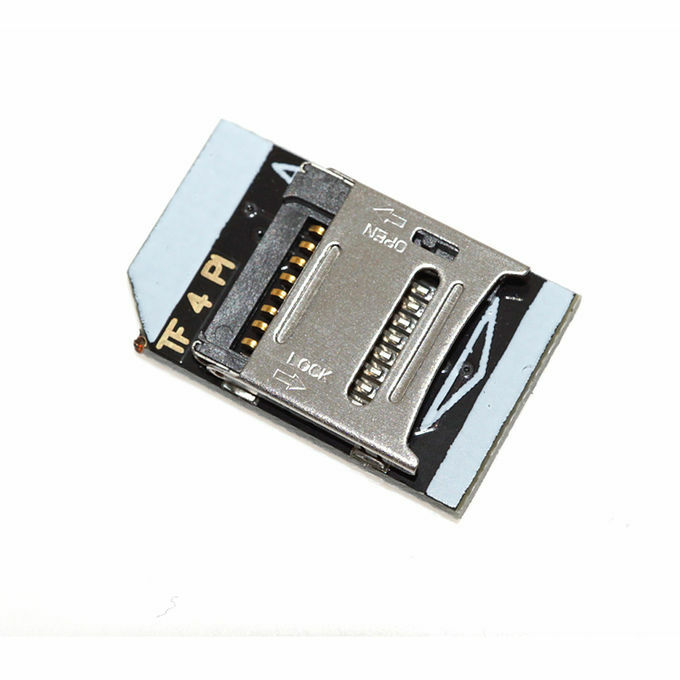 This compact size adaptor card reduces the risk of damage by sitting completely within the outer edge of the Pi PCB. This Adapter has high quality gold plated contacts and a secure push/push (push to insert and push to release) fitting for holding your microSD card in place. User can remove and refit the micro-SD card with the adaptor still in the Pi. 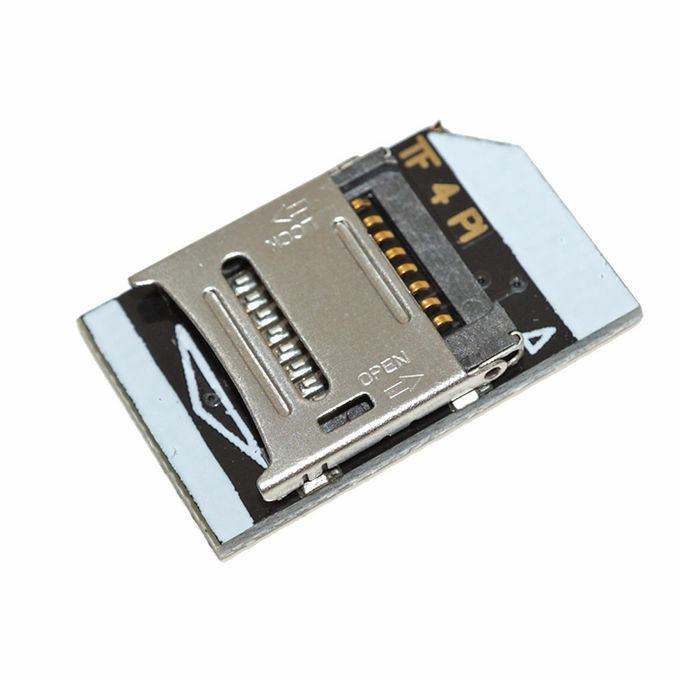 TF card transfer SD Card adapter plate, compatible with SD cards, but smaller than SD cards. 1. Unlock Lock unlocking direction indicates the direction of showing the lock. 2.PCB 1oz copper by the upgrade process to 1.5oz (copper thickness 50um, the ordinary is 35um), copper thicker, greater durability. 3. Goldfinger and full board Immersion Gold design and production! Like the use of imported gold Molex deck. The clamshell design for easy replacement of permit card.